Cost: $50, includes fingerprints, photo, and submission of application to BCI. Seating is limited, so first 15 people to register and pay will have a confirmed seat. Click here for details on the Utah CCW . THE STATE OF UTAH CHARGES AN APPLICATION FEE OF $53.25 FOR UTAH RESIDENTS AND $63.25 FOR NON-RESIDENTS. THIS FEE IS IN ADDITION TO THE CLASS FEE. On Target is not a firing range, we use various facilities in the Southern Utah region for our training, including our own private range. For information on these facilities, view our links page. We are a veteran owned busines specializing in teaching safe firearms handling, storage, and marksmanship. Our instructors have a total of 20 years of instruction experience, including federal agents, local and state law enforcement, civilians, and the military. We are well versed in laws regarding use of force, practical concealed carry options, and a wide variety of firearms. When it comes to firearms, the more you can learn the safer you can be. Don't settle for inferior instruction or just getting your paperwork stamped, let us teach you how to carry safely and ensure you are in compliance with the law to prevent costly legal battles later. Every person in America has the intrinsic right to purchase, own, and use a firearm, while various states and localities place restrictions to lesser or greater extent on that right. A person having the right to something, does not mean that they are not obligated to exercise that right with the utmost care and safety. As Robert Boatman wrote in his cogent essay "The Constitutional Right and Social Obligation to Carry a Gun"
"Carrying a loaded gun with the ability and will to use it is not a casual fling meant to bring some excitement into your boring life. It is an all-embracing lifestyle and must take precedence over your respect for law, your fear of social criticism, your love of humanity, your wardrobe and your drinking habits." Firearms, like all complex machines, can be operated safely, but require training. Like a motor vehicle, use by an untrained person can be fatal. We provide the training that will allow our students to safely and confidently buy, own, store, use, and operate a variety of firearms. Like any subject, the topic of guns creates strong feelings in people. These feelings run the gamut of the political spectrum. On Target's purpose is not to advocate for one position or another. In many cases, after completing our training, our students make the decision not to own a firearm. If this is the case, we support that decision. Our purpose is to provide the training for each individual to make an informed and educated decision. If you are thinking about purchasing a firearm for concealed carry, home protection, or just for recreation, our training is for you. Additionally, if you have children, and are concerned that they will come into contact with firearms, it is vital that you and they both have the training to properly respond to the presence of a gun. For children, we provide the award winning Eddy Eagle program, used by schools, law enforcement, and other instructors across the nation to teach children in a fun and informative way to STOP, DON'T TOUCH, LEAVE THE AREA, GET AN ADULT! For adults we offer the NRA's First Steps Pistol Orientation Course to teach you how to safely handle a firearm, load and unload, check to see if the firearm is unloaded, and much more. 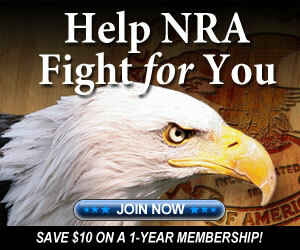 Additionally, for those more interested in shooting, we offer the NRA's Basic Pistol Shooting Course. What NRA Certified Instructor means. Being an NRA Certified instructor does NOT mean the instructor is an employee of the NRA, nor does the NRA endorse one NRA Certified Instructor over another. It does mean that the NRA has approved of the training material and practices of the instructor and ensures that the instructor's training process and materials meet the highest levels of quality and safety. NRA instructors attend a rigorous training program and follow strict guidelines that meet NRA approval. NRA Certified Instructors agree to follow stringent ethical guidelines, use NRA approved training materials, and meet the qualifications established by the NRA to use the title NRA Certified Instructor. On Target Firearms Training is a private company that is proud to employ NRA Certified Instructors, and is not a subsidiary of the NRA or the NRA Headquarters Range. About Dan Kidder: Dan has more than 20 years of experience with firearms and defensive tactics. As a police officer in Upstate New York, and later as a United States Marine attached to Joint Special Operations Command (JSOC), serving in Kuwait during Operation Desert Storm, Dan has worked as a range safety officer for the National Rifle Association Headquarters range in Fairfax, VA, and is a Utah BCI Certified Instructor, an NRA certified pistol and rifle instructor teaching the First Steps Pistol/Rifle Orientation Course and Basic Pistol/Rifle Shooting Course, as well as his acclaimed Hand to Hand Combat for Women. Dan serves as On Target's Chief Defensive Tactics Instructor and oversees all courses and develops all curriculum and training offered by On Target. Additionally, Dan served as Communications Director for Georgia Congressman Michael Allen (MAC) Collins in his Washington, DC office and as Communications Director for several state and federal election campaigns. Dan is an ordained non-denominational Christian minister and Managing Editor of Sportsman's News Magazine. In addition to Dan, On Target works with a variety of highly trained certified instructors, providing the widest range of individualized training for all levels of expertise. If you have never held a firearm, or have grown up around guns your whole life, you can never have too much training or be too safe. Call us today to set up instruction for you and your family. The cost of ignorance is far higher than the price of our training.